Lost control on landing and flipped aircraft over. The National Transportation Safety Board and Federal Aviation Administration are investigating a plane crash at the Independence State Airport that left the pilot with minor injuries Wednesday morning. At around 7:25 a.m., a pilot flying a single engine, two-seater plane lost control on landing and flipped the aircraft over, according to FAA's Allen Kenitzer. The pilot was the only one on board the Rutan Long-EZ at the time. The plane's nose gear collapsed upon landing and the aircraft skidded off the runway, flipping on its back, according to Al Cleveland from airport emergency response. The pilot walked away from the crash prior to Polk fire and EMS arriving on scene, according to Polk Fire District 1. The pilot, identified as Jim Wixon, of Independence, by his friend Rod Kerr. Wixon is being treated for minor injuries at the hospital, according to Cleveland. The plane has been returned to the owner's hangar, according to Kerr. Investigators from the NTSB and FAA were inspecting the wreckage Wednesday morning and will continue to review the incident. 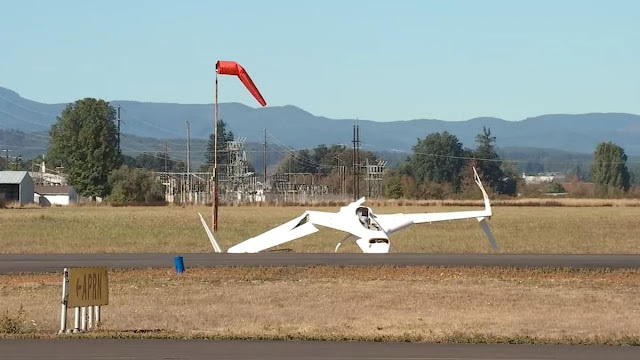 INDEPENDENCE, OR (KPTV) - A pilot was injured in a small plane crash that happened in Independence Wednesday morning. The single engine, two-seater airplane crashed around 7:25 a.m. at the Independence State Airport, according to Polk County Fire District No. 1. Fire officials said the crash happened when the pilot was landing and the plane came to a rest on its top off the side of the runway. 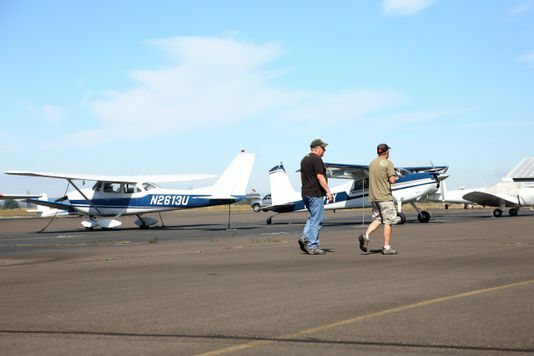 The 80-year-old pilot, who was the only person on board, was able to get himself out of the plane before medical personnel arrived. He was evaluated for minor injuries, but refused further treatment, according to fire officials. 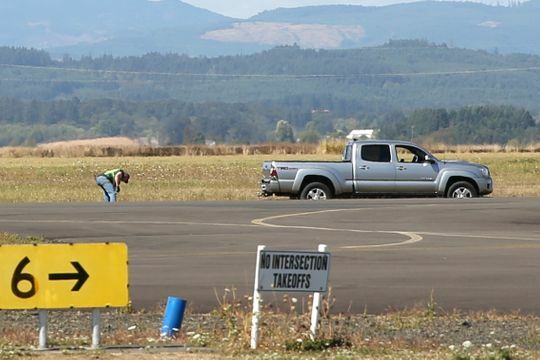 The runway has been shut down while the National Transportation Safety Board and the Federal Aviation Administration investigate the crash. The Oregon Department of Aviation is also on scene.